Australia is a developed and one of the wealthiest countries in the world. Australia ranks high in the national performance, such as quality of life, health, education, economic freedom, and the protection of civil liberties and political rights. Australia’s economic growth comes from various sectors such as mining-related exports, telecommunications, banking and manufacturing. Some of the richest people in the world live in Australia. Read on to find out the worth of these wealthy Australians. 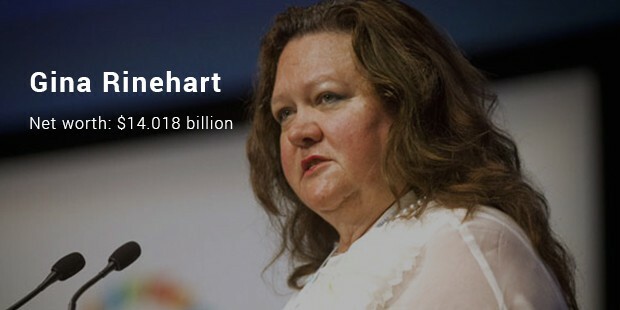 Gina Rinehart is an Australian entrepreneur. She is known to be the mining magnate and is the Chairman of Hancock Prospecting Group. Rinehart has focused in the recent years on developing Hancock Prospecting's undeveloped deposits, raising capital through joint venture partnerships. She has acquired stakes in many leading mining companies of Australia. 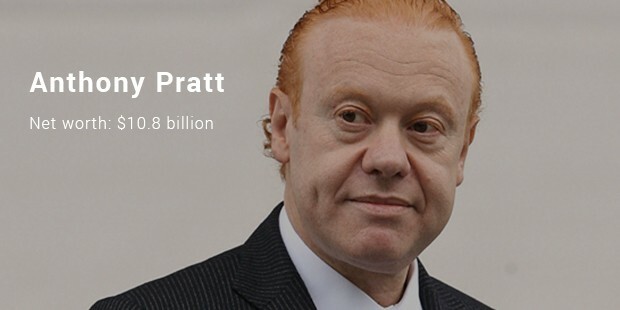 Anthony Pratt is the Chairman and CEO of Pratt Industries and Global Chairman of Visy Industries. Visy Industries is one of the largest industries in paper and packaging. The products of Visy Industries are the only paper products that are 100% recycled. 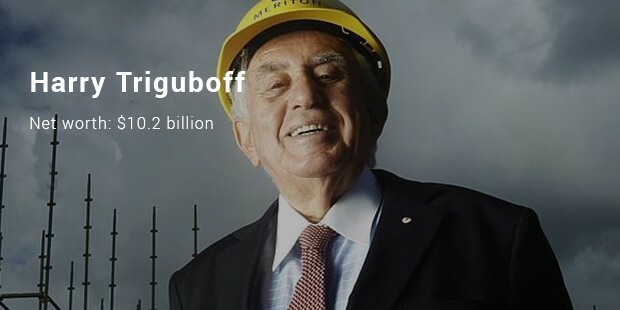 Harry Triguboff is a residential property developer in Australia. Harry is the managing director of Meriton Apartments Pty Ltd. His company is believed to build an average of 3000 apartments every year. Meriton’s holds the credit to have built, The World Tower; Sydney’s tallest tower. 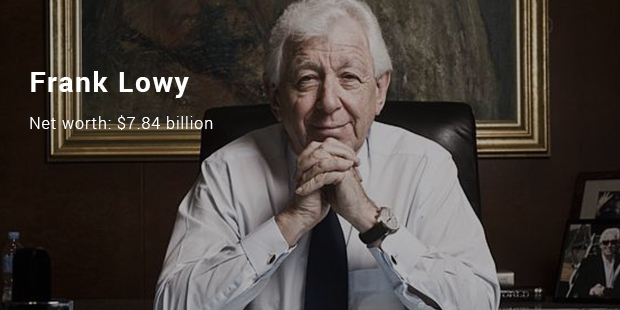 Frank Lowy is the co-founder of Westfield Group. Westfield Group operates over 100 shopping centers in Australia, New Zealand, United States and United Kingdom. He started his career by delivering small goods and went on to start a shopping center. 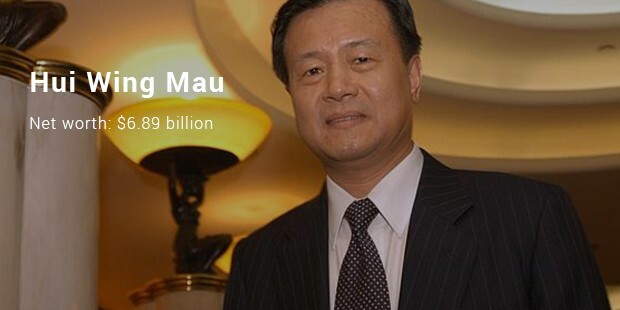 Hui Wing Mau is the chairman of Shimao Property Holdings. He is into real estate and is known as the property mogul in Australia. He bought a Sydney CBD office building with apartment and hotel conversion potential before moving to Hongkong. Never knew right Australia’s richest people have so much wealth. The real estate I Australia seems to be giving a tuff competition to the other real estate business across the globe.